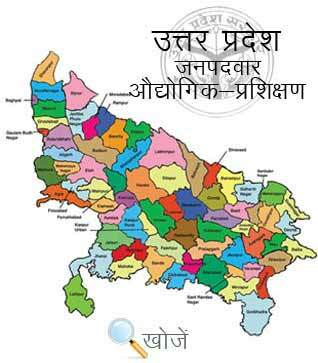 Balrampur is a city and a municipal board in Balrampur district in the state of Uttar Pradesh. It is situated on the banks of river Rapti and is the headquarters of Balrampur District. It is renowned for the temple of Pateshwari Devi, a Shakti Pita and for the ruins of the nearby Sravasti which in now a famous pilgrimage site for both Buddhists and Jains. Balrampur dynasty belongs to Janwaar Kshatriya descendant of Janmejay the great Kuru king and the great grandson of Arjun. It is one of the richest dynasties in India and currently Maharaja Dharmendra Prasad Singh holds the crown of Balrampur. The city has a good literacy rate and there are several colleges and schools in the city which was established by the Rajpariwar. The oldest inter college of the city Maharaja Pateshwari Prasad Inter College is among the oldest colleges of the country established in the year 1883. Now the city has several prestigious colleges and technical institutions imparting higher education to the students. Maharani Lal Kunwari PG College, Dayanand Anglovedic Inter College, Government Girls Inter college are quite famous in the city. The city also boast a Government Industrial Training Institute at Vishram Pachperwa , Balrampur that imparts technical education to the students of the city. To get admission to various technical and non technical courses students need to clear the entrance test conducted by Vyavasayik Pareekha Parishad in the state of Uttar Pradesh. The official site to know more about it is www.vppup.in. Apart from this students can also visit www.upiti.in which provides them all the necessary information regarding online admission, checking of result, counselling dates, courses details etc so that they get enrolled in their choicest course.